She has an unparalleled ability to envisage visual trends, foreseeing hallmark hues of the future. 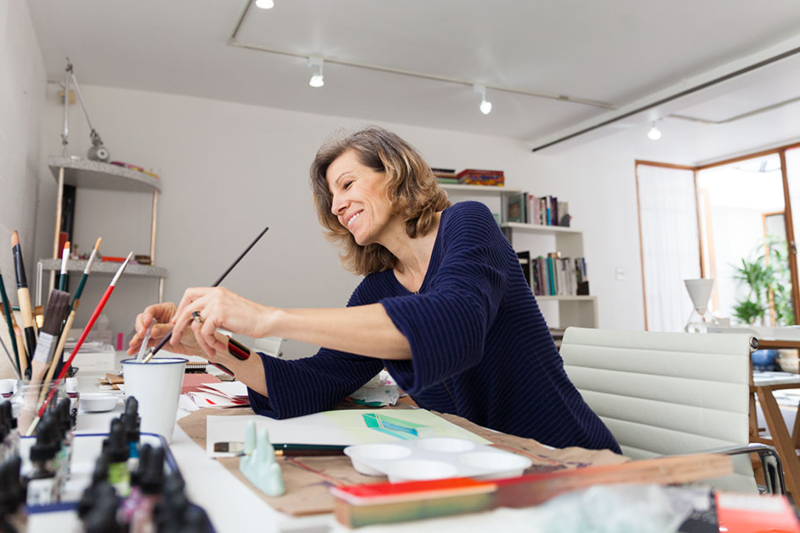 Her work has been part of some of the most internationally renowned innovations of our time: she was part of the team behind the colors of the original iMac for Apple, over 100 Swatch watches, and Herman Miller furniture. 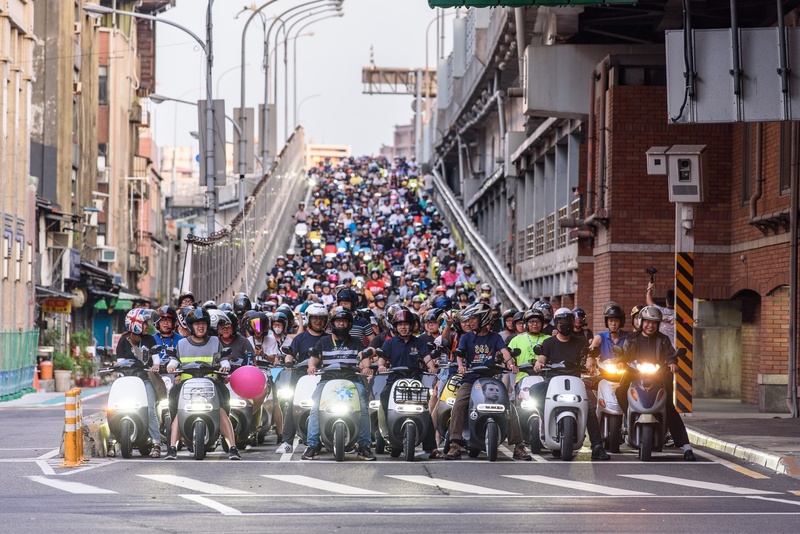 Today in Taiwan, you can experience one of her latest projects in motion: tens of thousands of Gogoro Smartscooters zipping through the streets and brightening the concrete jungle in some of the boldest colors of the 21st century. 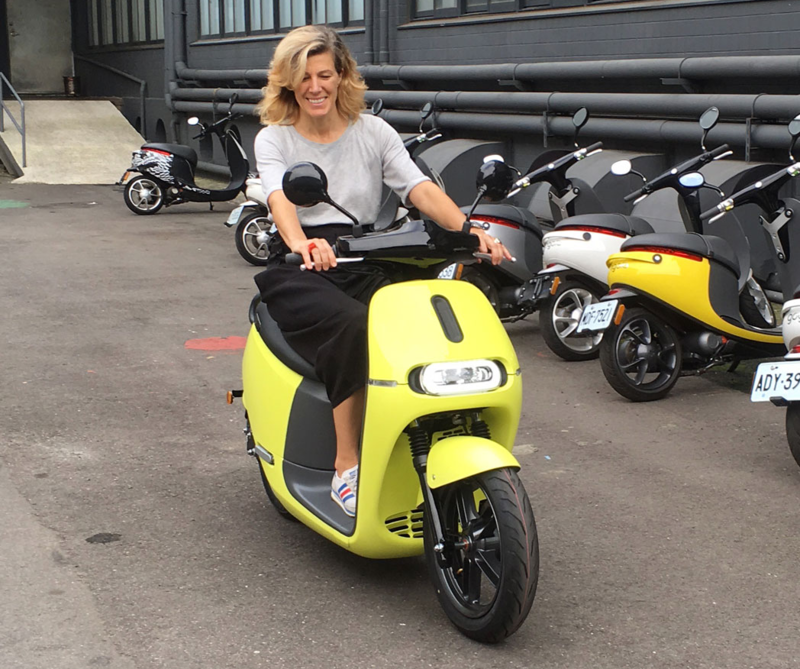 Meet Beatrice Santiccioli, the trend strategist behind the colors of the Gogoro Smartscooter. Together, with Gogoro’s design team, they came up with the color schematics behind the Gogoro Smartscooter. We recently sat down with Beatrice to hear the story behind her work and what inspires her about her work with Gogoro. How did you first get involved with Gogoro? Beatrice Santiccioli: I first met Horace (Luke, CEO of Gogoro) when I worked on a project with HTC during the time he was the Chief Innovation Officer. I have always been amazed by his ability to have a deep understanding of all the complexities and aspects of the design world, from strategy to finance, design, production and communication. He is a truly Renaissance man, able to do and understand all. Of course, I was very happy when he called me and gave me the opportunity to team up together again on the Smartscooter. Beatrice’s studio desk with colors swatches of the Gogoro 2 Series Smartscooter and her experimental dyes to create new colors. What excites you about your work at Gogoro? Beatrice: I started to work with Gogoro because I believe this is a product that both makes people feel better about themselves and is making a difference to how we perceive transportation. This was also my first work in transportation and, because I always look forward to new challenges, I took this opportunity with great joy! I could not imagine working with a better team of people. After years of working together, I think that the designers and I have developed a new language: a mix of Chinese, English and Italian! Fantasquimaio! Pocodiandian! What impact do you think Gogoro has made (or can make) on the world? Beatrice: Gogoro is set to motivate people to make smart changes to their life and to understand that one action can inspire and create a movement. From home to neighborhood to community. In my teens, I drove a scooter to high school every day. I often look at this time with great nostalgia and laughter. Imagine if there were only electric scooters - what a great world! So it sounds like you have a lot of experience riding scooters? Beatrice: Oh yes. I grew up in Italy and it was a very big part of my upbringing. When I worked in Rome one year, I had a little white Vespa that reminded me of the movie Roman Holiday. I will always remember the incredible sense of freedom I had - the opportunity to explore the hills around Firenze with my friends, driving to small towns for fairs, and going to local celebrations to taste food and enjoy life. Beatrice shows the orange color of the Gogoro 2 from her studio in San Francisco, California. You have a very unique approach to defining color direction, such as creating future mood boards and studying how trends move and evolve. What are some of the things that went into the color theory of the Gogoro 2 palette? Beatrice: The principal idea behind the Gogoro 2 palette was to continue speaking in the color language that was introduced with Gogoro 1 palette. The Blue, Red, Orange, White and Dark Gray colors are the iconic brand colors. To keep this message, I designed a palette derived from the same hues, changing only the value and chroma of the color. There were other color stories considered during the investigation of palettes, but they didn’t carry over the feeling of legacy. The palette of Gogoro 1 was meant to break through. 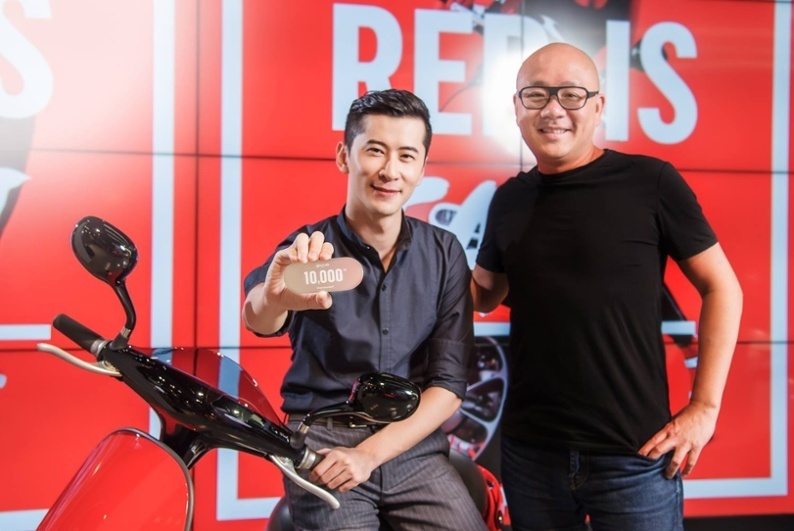 It is iconic and differentiates against all the other scooters with its distinct personality. Although we explored different directions, they were not as strong and didn’t carry on the legacy or reaffirm and resonate the impact. It was important to keep that momentum of the personality going and build on the story of Gogoro. 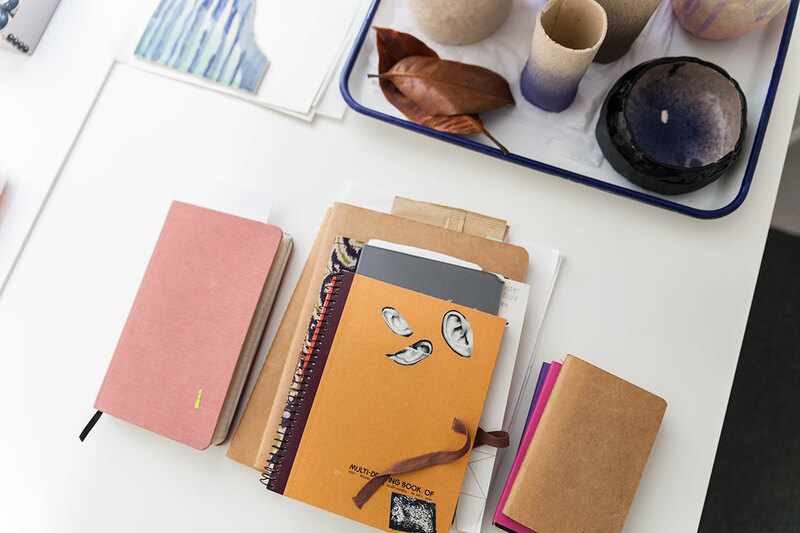 Beatrice’s sketchbooks, ceramics, and samples of inspiration. 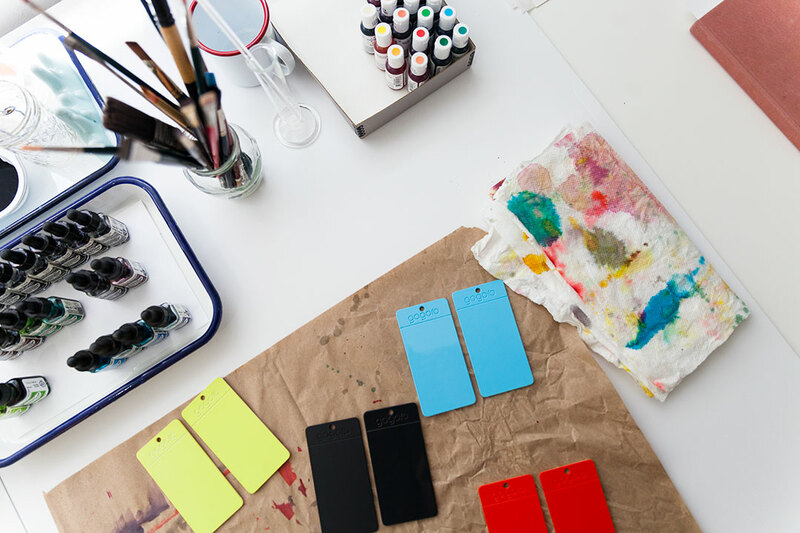 She experiments with colors and materials to investigate possible collaborations. How do you know when you've landed on the perfect color? Beatrice: It requires a process. First, you must identify emotional links from the consumer to the object. Then you will have the ability to reach a moment when you can feel the color is complete. In this moment, you will experience a sensation: that the color now holds all the characteristics of the object's personality. For Gogoro, we could feel when the color completed the scooter like a perfect circle. Horace was innovative in his formula of consuming energy through battery swapping. The scooter is not just used as a transportation vehicle, but it is using energy in a different way and solving social and climate and environmental problems. All of these thoughts went into the design - and the result is that the color is bold. The consumer that rides a Gogoro Smartscooter is boldly wearing this statement. You and the Gogoro design team really collaborate well. Can you share a bit about the experience of working together? Beatrice: The Gogoro design team is full of passionate designers which makes working with them a unique and enhancing experience. 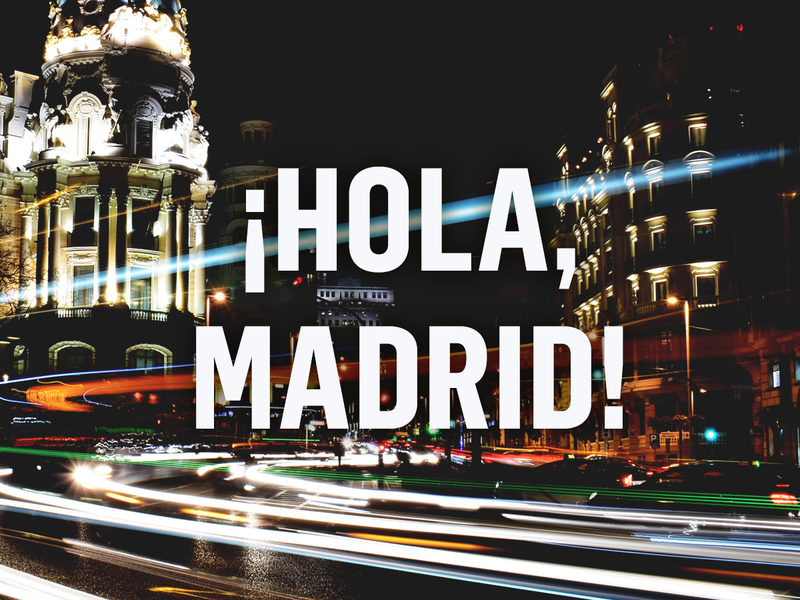 Through spending so much time together, we were able to develop a great working pace. Now it feels that my work methodology really complement the design approach of the greater team. We fit like two puzzle pieces! One of Beatrice’s personal projects, part of a series of elements for catching and organizing ideas. 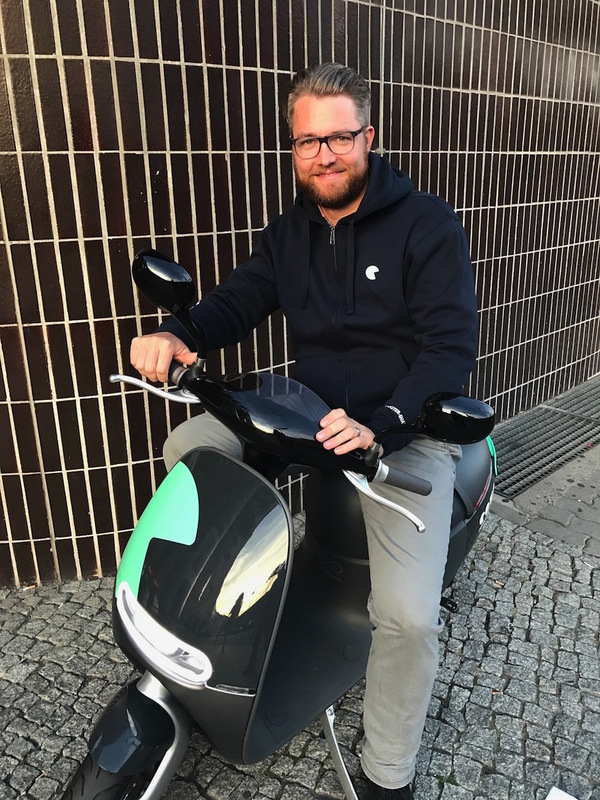 There are now tens of thousands of Gogoro Smartscooter vehicles on the roads since launching in 2015. You visit Taiwan often - what is it like to come back and see the colors filling the road? Beatrice: It’s a great joy. It’s always very surprising when you see one flying by. I think for a designer, there is nothing more rewarding than to see your work being enjoyed by other people and that they’ve made it their own. Sometimes they’ve personalized it with their own aesthetic, evolving it to fit their personal life. I’d love to make a booklet to show all the different styles. At the Gogoro headquarters in Taiwan, Beatrice takes a ride on the Gogoro 2 in one of her favorite colors. There really are a lot of personalized Smartscooters now. But we do have to ask: what is your favorite Gogoro 2 color? Beatrice: My favorite colors are blue and yellow. One color is not enough!